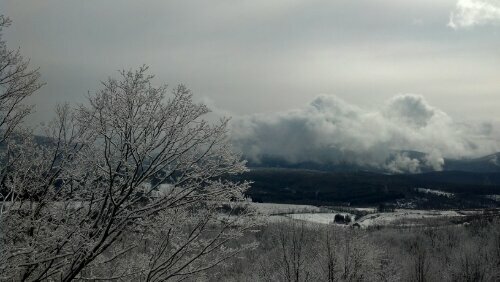 Snow fog lifting and sun coming out this March 1st. Burroughs had words for beauty here. John Burroughs grew up with best friend Jay Gould fishing and paddling the local streams- East Branch of Delaware and Dry Brook. John Burroughs house and burial plot are towards the left of this scene. He supposedly watch sheep in this pasture.